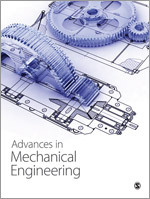 SAGE is an international, leading publisher of 70 titles in Engineering, Materials Science and Computing. 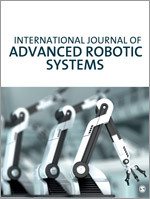 The collection contains a number of journals covering the full spectrum of Robotics research, including International Journal of Robotics Research (IJRR), the first scholarly robotics publication and International Journal of Advanced Robotic Systems (IJARS) an international, open access journal that publishes in all areas of robotics. Bookmark this page to hear about new journals, open Special Collections and news from Robotics at SAGE. Please visit @SAGEEngineering for additional news and information. Visit the journal homepage or YouTube to find out more. Browse top read articles such as 1 year, 1000 km: The Oxford RobotCar dataset (Will Maddern, Geoffrey Pascoe, Chris Linegar and Paul Newman (November, 2016)) and Robust Constrained Learning-based NMPC enabling reliable mobile robot path tracking. (Chris J. Ostafew, Angela P. Schoellig, Timothy D. Barfoot (May, 2016)). Browse our range of Special Collections covering the full spectrum of Robotics here and explore the latest robotics content here. This study aims to investigate kindergarten and elementary school students’ perceptions on robots, including perceptions on robot personalities, appearance, and associated emotional expression. This study demonstrates how a robot system can catch the three-dimensional coordinates of an object and perform smartphone automatic testing operations by the commands from visual recognition system.